The flagship four-box dCS Vivaldi system – with its transport, DAC, clock and upsampler – is a glorious thing. Yet it’s also crazily expensive and complex to set up, and demands large amounts of house room. The entry-level Debussy – which shares much of its technology – is a simpler, sleeker, single-box affair that doesn’t sound too dissimilar. 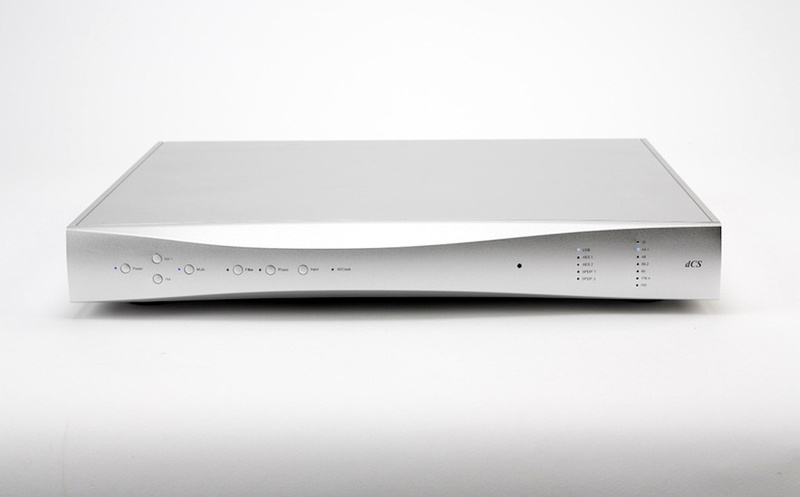 Smaller, easier-to-use and far less expensive (£7,500 at the time of launch in 2009), it also contains the company’s unique custom-designed Ring DAC. This bespoke digital-to-analogue conversion board uses no off-the-shelf DAC chips, unlike almost all other manufacturers’ products. Rather, the proprietary 5-bit oversampling system spins all digital signals up to either 2.822 or 3.07MHz, performs sophisticated digital signal processing and then converts them to analogue. A sophisticated multi-mode phase-locked loop reduces clock jitter, while fast DSP chips make for improved filtering. High capacity FPGAs (Field Programmable Gate Arrays) give more logic capacity and increase the scope for additional features and enhancements over earlier dCS models. The Debussy was also the first ever DAC to sports the company’s patented asynchronous USB technology, meaning the unit can pull the digital audiostream from any modern PC or Mac computer via the USB socket, and itself control the clocking so the PC or Mac no longer controls the data. This substantially reduces jitter and makes music from computers sound significantly better, which is why this technology is now used by almost every other DAC manufacturer. The unit features the aforementioned USB 2.0, AES3, Dual AES and S/PDIF (coaxial) inputs. There’s a digital volume control for direct connection to a power amplifier, so those minded so to do can avoid a preamplifier (maximum output can be either two or six volts to suit). The unit also offers two switchable digital filters, offering the choice between linear phase with pre-ringing or non-linear phase without pre-ringing. It can be locked to an external word clock signal generated by a dCS Master Clock. Experience with the Paganini is such that this should produce a considerable sonic improvement, with an increase in clarity and resolution. Debussy can also be periodically upgraded with software updates, loaded from a dCS update disc or connected computer; this is said to allow the unit to to add new features and adapt to changes in digital formats. The rear panel also sports one stereo pair of male balanced XLRs and one pair of RCA phono outs, plus an IEC mains in. The new casework is beautiful; the sleek anodised aluminium box is large enough to house the umpteen chips inside (the Ring DAC demands this), but small enough (at 445x392x65mm) not to dominate a room. There’s no mistaking the sound of the dCS Ring DAC; there’s an innate smoothness that some might even conflate with dullness. Yet use a serious pair of loudspeakers and you’ll find the Debussy to be an unerringly even sounding device that simply doesn’t have the laser-etched-into-glass midband that almost every other DAC around has. You can feed it a bright, bracing mid eighties recording such as Sly and Robbie’s Language Barrier, packed with mid eighties digital synths and drum machines, plus lots of percussive banging and crashing from Messrs Dunbar and Shakespeare, and not find yourself jumping behind the sofa before the first four-bar phrase is through. Without throwing it at you, the Debussy serves up vast amounts of detail, mining rich seams of music from the digital datastream and stringing it together in a captivating way. This isn’t the most obviously euphonic DAC; it lacks the zest of the classic Philips 16-bit designs, for example, but more than makes up for it with subtlety and evenness that’s on another level. It times extremely well too, without overtly giving the impression of so doing; there something of the whiff of high speed open reel tape about the dCS, such is its effortless assuredness. Tonally this DAC has a surprisingly fulsome sound, but that doesn’t come from any coloration in the lower midband, it’s simply the lack of glare and an exceptionally extended and assured bass. This is obvious on CD, but even more apparent on hi-res via USB, which can sound magnificent given the right track – as any hi-res digital fan knows, not all remasters are created equal! With the right recording the Debussy shines, serving up a wonderfully spacious and well defined three dimensional soundstage, along with fine dynamics and an easy rhythmic quality that makes any type of music a pleasure. I have heard other designs which give a more ‘seat-of-the-pants’ presentation, making things sound apparently more engrossing, but would still come back to the dCS for consistency across a variety of programme material. Beautifully built, exquisitely engineered and styled with real imagination – the dCS Debussy represents all that is best about high end audio. It’s priced at a point where film stars and Premier League footballers aren’t the only ones able to afford it, yet it gives performance that is nine tenths as good as anything on sale at any price. Five years after its birth, it remains one of the best value hi-fi products on sale today.